Although online poker in the U.S. continues to be stifled on the federal level, on the state level Nevada is moving ahead. The first online poker license granted by the Nevada Gaming Commission (NGC) was awarded to South Point, LLC, which is associated with the South Point Hotel, Casino & Spa in Las Vegas. That approval means that Nevada could have online poker up and running before the end of 2012. South Point has positioned itself to be ready to go with the online game as soon as possible. The company has developed the software and is testing it. Although federal efforts have been stalled, as the Barton Bill has been lost in committee and the recent attempt by Senator Harry Reid (Democrat, Nevada) to get backing for his bill has been delayed, it looks as if online poker will become a reality. 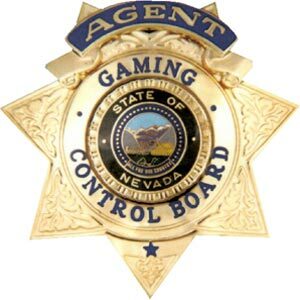 The licensing by the NGC is aided by the U.S. Justice Department’s recent ruling that the Wire Act, which bans gambling across state lines via electronic communications, does not pertain to poker. With approval by the NGC, South Point will start beta testing of their software very shortly. At this juncture, South Point has eclipsed the efforts of other companies looking to offer online poker such as Caesar’s Entertainment and MGM Grand. South Point has also filed for and gained approval for numerous other types of licenses, including service provider, operator and manufacturer. Other companies have limited themselves to one area of the online poker industry. As an example, Shuffle Master, Bally Technologies and International Game Technology (IGT) have applied and been approved for licenses only in the manufacturing area. The NGC has very strict regulations regarding online poker. In order to obtain approval, South Point was required to submit plans and procedures for internal control and operations. They were also had to offer a detailed plan of conformity related to interactive real money gaming. Those individuals in charge of running and maintaining the site also had to be approved. When will online poker be available? South Point could be offering it as early as October. There are a few reasons for this. First, they have developed the software and are ready to go. But more importantly and as noted, they have been approved in three separate areas, making them self-sufficient as a provider, operator and manufacturer. With the licensing of South Point, online poker players in the U.S. are much closer to finally being able to enjoy the game of skill at home. That’s not to say that many in the U.S. are not already doing so as there are many offshore poker rooms, such as Lock Poker, Carbon Poker and Black Chip Poker, which still accept American players. However such poker rooms are technically operating illegally although those playing at them are not breaking the law. That’s because the transfer of money to offshore sites in order to gamble is illegal and not the actual act itself. With Nevada moving closer to being the first state to provide online poker, offshore poker providers may become a thing of the past.